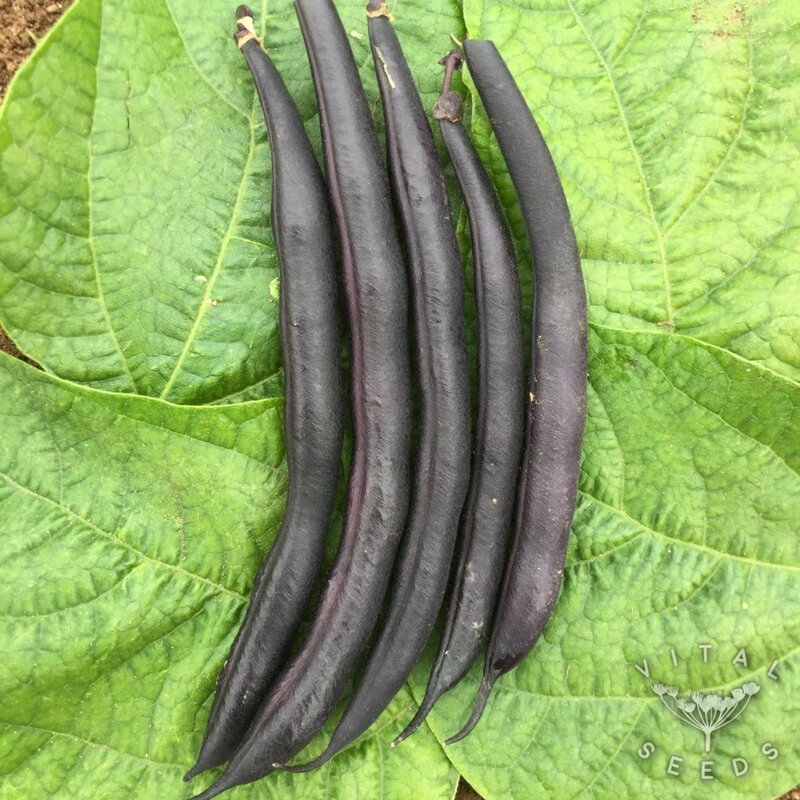 A productive purple dwarf French bean variety that will reliably provide you with a really tasty crop. We love it for its pinky purple flowers, deep purple coloured pods (which will turn green when cooked!) 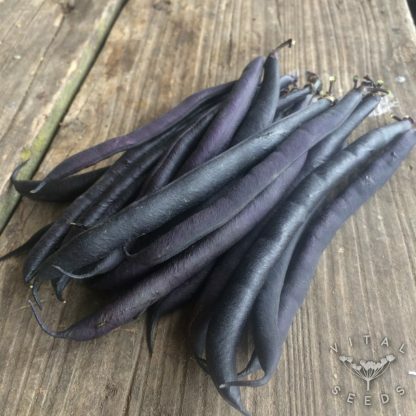 and for its prolific growth and amazing productivity over a long period of time. 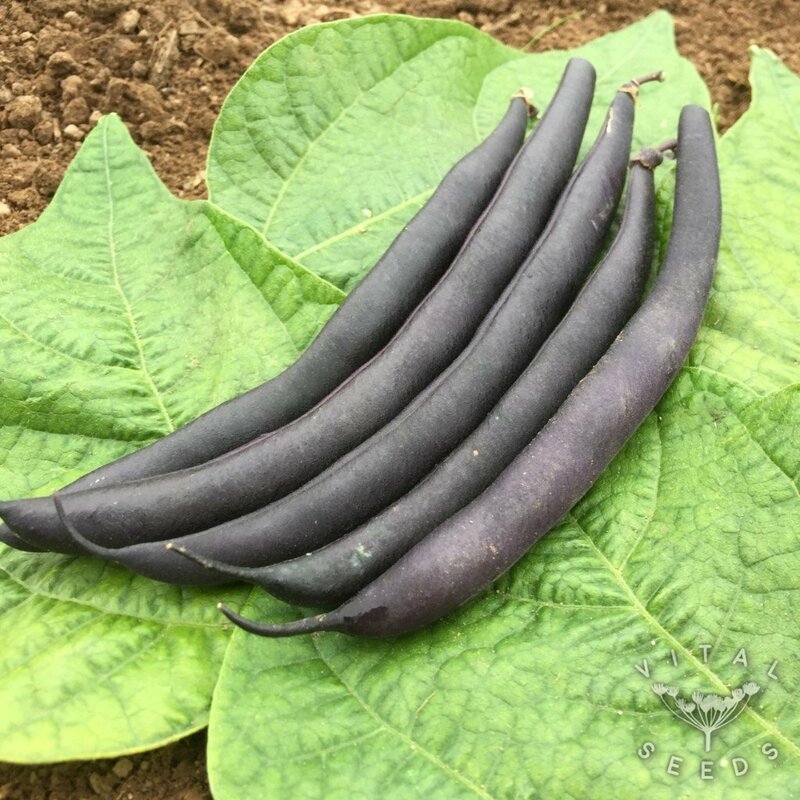 The pods are easy to harvest as they stand out against the foliage.